Own "The Arch" by Carmine Appice. Simply two colors by Appice are used to make the almost electric looking piece titled The Arch. Visible in the foreground of the work are Appice's hi-hat and toms. 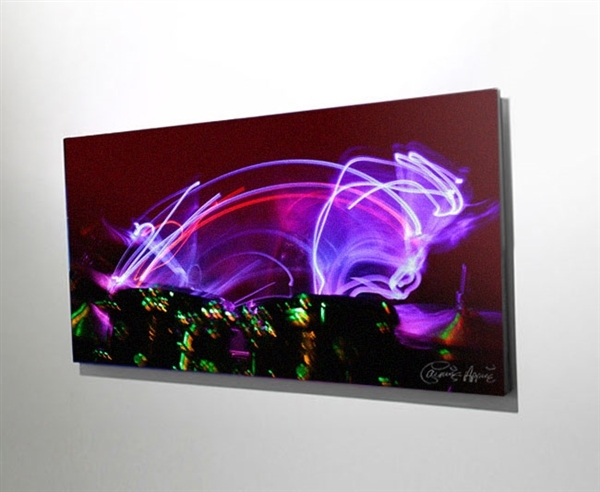 Beautiful with and without Chromadepth, each of The Arch canvases ship with Chromadepth glasses. Measuring 30"x 18" on canvas, there are a total of 75 pieces in the edition. All are numbered and individually signed by Carmine Appice.